In 2016, 69% of Half Moon Bay voters favored Proposition 64, which legalized and regulated a commercial cannabis industry in California. Since then, the Half Moon Bay City Council has been researching and gathering community input regarding the potential development of local commercial cannabis industry. Earlier this year, City Council commissioned two studies from independent consultancies on the potential community and fiscal impacts of a local regulated cannabis industry. Over the summer, the City Council approved placing five measures on the November 6, 2018 ballot, addressing various aspects of potential commercial cannabis business activity in Half Moon Bay. The Coastside Cannabis Coalition is coordinating a small campaign to support these ballot measures in alignment with our mission to support common sense local cannabis regulations that protect our community and create a Healthier, Safer, and Stronger Half Moon Bay. Email us at coastsidecannabiscoalition@gmail.com to learn more and get involved. The Coastside Cannabis Coalition wrote and submitted the Voter’s Guide arguments in favor of Measures GG, EE, SS, and MM and wrote the argument against Measure AA, along with required rebuttal arguments. 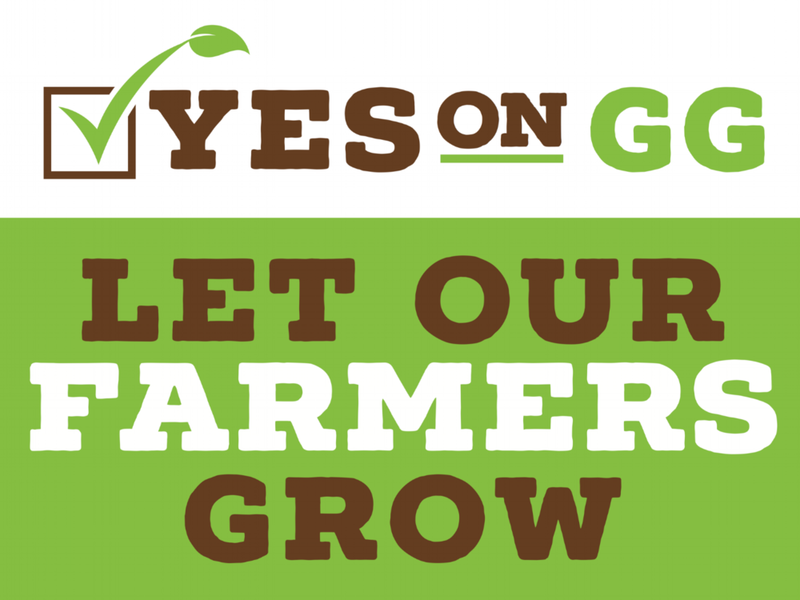 While we wrote arguments for all cannabis related ballot measures, our primary focus in this campaign is to Support Measure GG, which would allow farmers to grow ‘starter’ plants (immature cannabis plants with no THC or psychoactive compounds) in existing greenhouses. This would allow our local farmers to access the economic opportunities of the industry without bringing mature cannabis plants into our town. MEASURE GG IS ENDORSED BY THE san mateo Daily Journal, HALF MOON BAY REVIEW, SAN MATEO COUNTY DEMOCRATS, COASTSIDE PROGRESSIVE DEMOCRATS, AND FARMER JOHN MULLER. Members of our coalition will be at several local community events over the next month engaging in informative and constructive community dialogue, supporting our positions on the cannabis measures, and encouraging all eligible community members to get out and vote!